When it comes to choosing a family dentist in Lynnfield, MA, you need a dentist who can provide complete care while being someone you can trust. At Schumacher Dental, our patients are more than just an appointment slot. Our patients are the heart and core of our dental practice. Dr. Rob Schumacher and his caring staff are dedicated to providing the highest level of dental care while keeping your comfort in mind. We raise the bar when it comes to reconstructive, cosmetic, and family dental care. Dr. Schumacher has been providing quality dental care for more than 14 years. He caters to his patients because he believes in promoting health and well-being through dental care. With a commitment to family, he treats each patient like family as he delivers complete dental services. As a graduate of the University of Kentucky and the University of Michigan, Dr. Schumacher not only has a doctorate degree, but is also a board-certified prosthodontist. Through extensive training, he holds specialty that involves prosthodontic treatments to ensure your teeth and gums stay healthy and beautiful. Dr. Rob Schumacher believes dental care should be convenient and accessible. As a result, he provides all of the services you need under one roof. 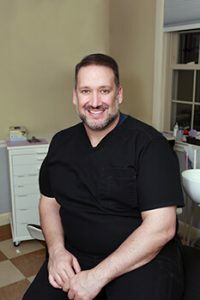 In addition to preventive and diagnostic care, such as dental cleanings and checkups, he provides treatments for certain areas of specialty, including oral cancer screenings, TMJ/Bruxism therapy, and sleep apnea treatment. Even with the best dental care and oral hygiene, your teeth may become damaged. Dr. Schumacher offers complete restorative dentistry, including same-day dentistry and various tooth replacement options. To ensure your smile is always looking its very best, Dr. Schumacher is experienced in cosmetic dentistry as well. No matter if you need simple teeth whitening and tooth-colored fillings to more advanced services, like orthodontics and porcelain veneers, Dr. Schumacher will give you a flawless smile. To provide patients with unmatched care, Dr. Schumacher remains current in the best advancements in dentistry. As a result, he provides patients with the most preferred and successful option for tooth replacement with dental implants. From start to finish, Dr. Schumacher is able to handle your dental implant procedure– no matter if you need single tooth replacement or implant retained dentures. As a board-certified prosthodontist, he specializes in tooth replacement and senior care. As a dentist, Dr. Schumacher understands the importance of always being there for his patients. Even in times of emergency. With emergency dental services, Dr. Schumacher will always be there for you to treat the emergency while making you feel at ease. We understand that choosing a dentist is a big decision. The dentist you choose will be by your side for several years to ensure you develop and maintain a healthy smile. When looking for a new dentist, choose a dentist who is supported by a trusted reputation. Contact Schumacher Dental today to schedule your appointment for family-friendly care.